Another in the legacy series. The Ultimate football trophy. Made in USA, the silver accents highlight the solid wood base & football. 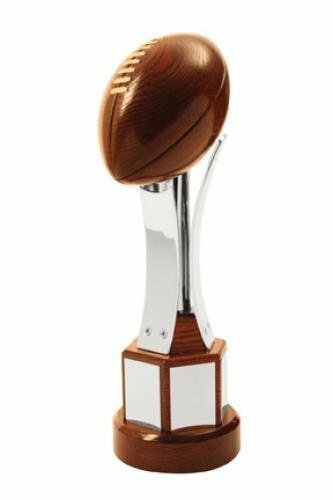 This is truly an outstanding football trophy. This product is made in USA. 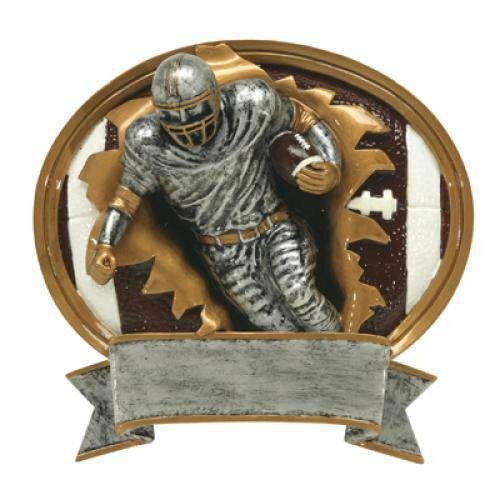 The football is solid wood with silver accents & sits on a solid wood base. This would make a great traveling trophy.